"Obi-Wan is a great mentor, as wise as Master Yoda, and as powerful as Master Windu." 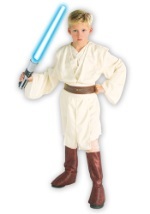 Embody the legendary Jedi Master with our selection of children's Obi-Wan costumes. 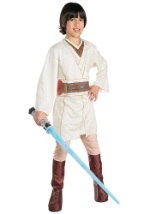 Whether you choose our Clone Wars costume or Obi-Wan Kenobi deluxe costume, you will have one of the best Star Wars costumes around.